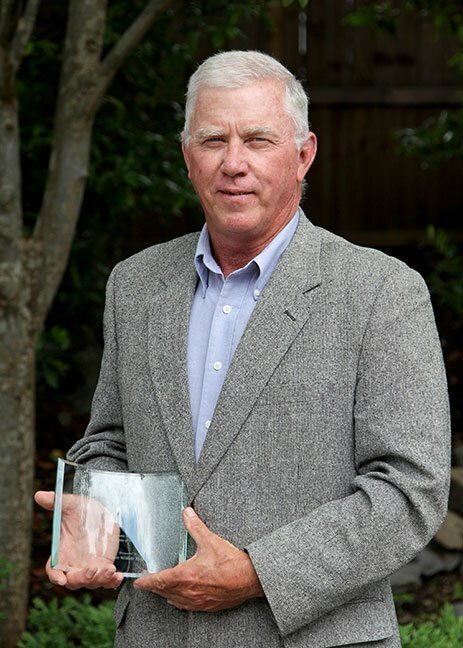 Ron Blair, Director of STEM Education at Lone Oaks Farm, has been named the Conservation Educator of the Year by the Tennessee Wildlife Federation. This award was part of the 53rd Annual Conservation Achievement Awards which celebrate “those making a meaningful difference to Tennessee’s natural resources,” according to Michael Butler, CEO of Tennessee Wildlife Federation. The Conservation Educator of the Year award is given ‘for outstanding achievement in education others on conservation.’ Ron’s dedication to conservation education for both young people and adults has spanned a career of nearly 40 years. From educating youth and adults about agriculture and natural resources to assisting landowners with lakes and ponds and establishing the O.W.L.S (Outdoors, Wildlife, Leadership, Service) camp for junior high students, Ron has impacted many lives in the state of Tennessee through service that went well beyond what was expected of his position. After nearly 40 years of service to the University of Tennessee Extension, Ron is eligible for retirement and could have easily slipped into retirement. Instead he entered into a new and final chapter of his career as the first Director of STEM Education at Lone Oaks Farm in August of 2017. As Director of STEM (Science, Technology, Engineering, and Math) Education at Lone Oak Farm, Ron and his team work with thousands of students each year, introducing them to hands-on outdoor experiences and learning. Through these STEM programs, Ron and his staff are teaching kids love and conserve the land of Tennessee and inspiring future biologists, farmers, natural resource professionals, and advocates for outdoor recreation and our public lands.